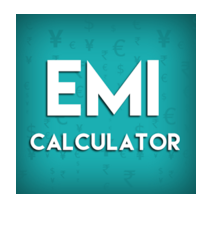 The EMI Calculator (Android App, available on the Google Play Store at http://play.google.com) is a simple, no frills calculator for EMI. You just enter the Principal Amount, the Rate of Interest and the period in Months / Years and tap on Calculate. Voila – your EMI is calculated and ready! You can then go and look at the month-wise statistics which shows you the monthly outgo of Principal and Interest. It is that simple. You can instantly share the results with your banker or borrower, by Email, Whatsapp or any other mode. Further options include creation of Loan Profiles for Loans already taken and monitor progress of repayments. An interesting feature is to compare 2 different loan options, where the principal amount, interest or loan tenure may vary. You can instantly check the EMI under both options to help you take a decision. It also gives you the option of comparing the effect of EMI in advance with EMI in arrears. There are many other financial calculators available – but I found this the simplest and easiest for the lay person, for calculation of EMI.